Winchester is synonymous with hunting, a pastime enjoyed by millions of Americans every year. You can bet wherever deer hunters gather, Winchester ammunition is there and has been for 150 years. 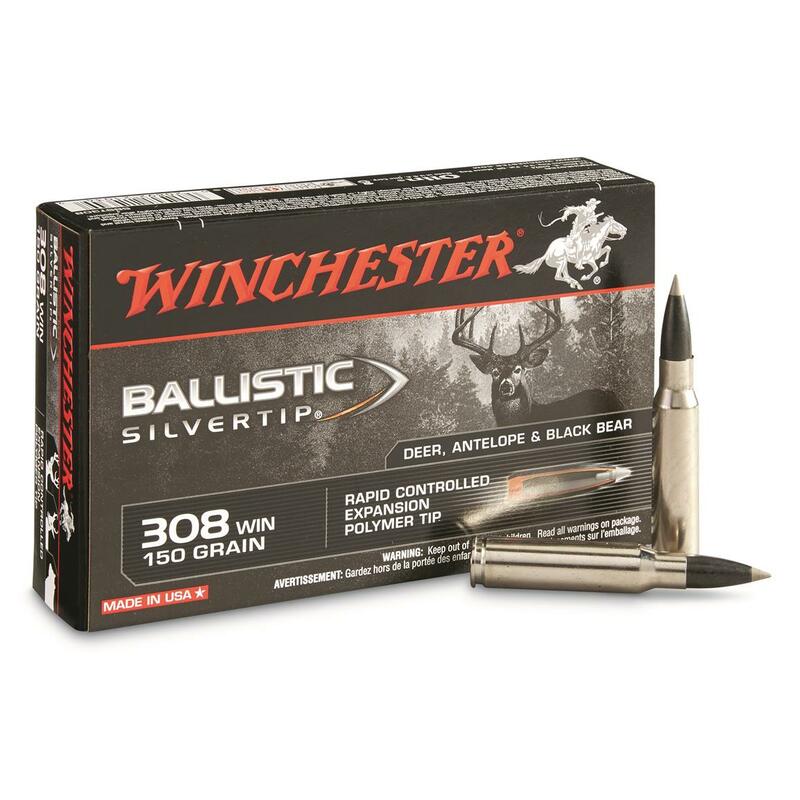 Winchester Ballistic Silvertip, .308 Winchester, BST, 150 Grain, 20 Rounds is rated 4.7 out of 5 by 27. Rated 5 out of 5 by Jason MG from Massive Impact. Dead On. I have shot two bucks (both over 180 pounds) with Winchester Ballistic Silvertip ammunition and both traveled less than 15 yards. This bullet delivers is tremendous energy deposit and is definitely one of the most accurate loads I have shot out of my Winchester Model 70. Well done, Winchester! Rated 5 out of 5 by Cawthd01 from Best .223 Boxed Ammo Out There We use this in our AR’s to control the wild hog population here in NW Florida. I have taken 200# boars at 150 yards, drops them in their tracks. Extremely accurate in all of our rifles. Even as a hand loader I shoot nothing but these in this caliber ! Come on Winchester, make it in 300 Blackout ! Rated 5 out of 5 by Lobo1 from Absolutely the Best Ammo I have ever used! This is absolutely the best ammo I have ever used. It is expensive but whatever you shoot with it drops on the spot extremely precise trajectory and incredible speed. Rated 5 out of 5 by mitch from The ammo has superior impact...deep penetration ...and has a great ballistic coefficient .....and they look cool. Rated 5 out of 5 by Texas Brent from Superb Performance There isn't a better load offering on the market. The silver tips are some of the most accurate and hardest hitting bullets money can buy. Rated 5 out of 5 by Whitetail hunter from Great Product! 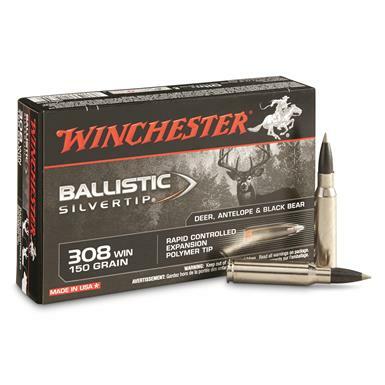 I used this silver ballistic tip ammo on a whitetail and the deer didn’t make it 50yds. The product simply works and is super accurate. Rated 5 out of 5 by rwimer from Excellent Performance I have used Winchester BST in the 7mm Rem Mag my father bought me for many years. It is consistently accurate and performs excellent on target! Thanks for a great product year after year. Extreme accuracy and 99% weight retention!